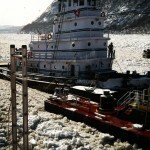 On February 18, the 106 foot long tugboat Maryland and its barge became stuck in ice on the Hudson River off West Point, New York. 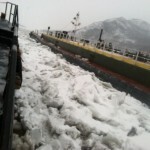 The Maryland was proceeding to Newburgh pushing a barge loaded with 850,000 gallons of heating oil when it became trapped in ice. 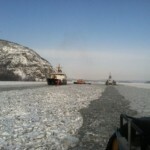 The Maryland requested assistance with the Coast Guard cutters Line and Willow responding along with the nearby tug Jason Reinauer. 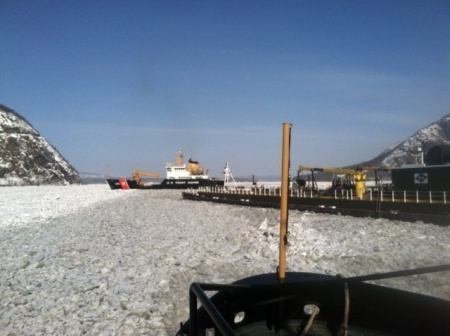 The cutters arrived and broke-up the surrounding ice, but could not approach the Maryland too close due to their size. 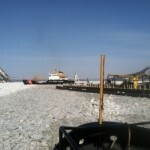 The smaller Jason Reinauer was able to approach closer to the Maryland and was able to break the tug and barge free. No reports of injuries, damage or pollution released.